A third patient has been diagnosed with Ebola in Dallas, TX. Amber Joy Vinson, 29, is the second Texas Presbyterian Health worker to get the disease after caring for deceased Ebola victim Thomas Eric Duncan, local officials said in an early morning news conference. The patient, like nurse Nina Pham, is in isolation at Texas Presbyterian Health. The US Centers for Disease Control and Prevention (CDC) along with Texas health officials are monitoring 75 people who had contact with Duncan, the visitor from Liberia who died of the disease Oct. 8. The officials did not say whether the latest victim was a nurse, but her family later confirmed her identity and that she is a registered nurse who cared for Duncan and lives alone. They also said that she had a fever and that a preliminary test confirmed Ebola. The news came days after CDC Director Tom Frieden, MD, conceded that the CDC should have gotten more involved in helping the city and the hospital respond to Duncan’s case. It also focused attention on a growing debate over whether community hospitals can handle such cases. Former Homeland Security Assistant Secretary for Health Affairs Alexander Garza, MD, MPH, said in an interview that such patients should be in special facilities. “As soon as a test comes back positive, these patients should be moved to a biocontainment facility,” Garza said. He is currently associate dean for public health practice at the College for Public Health and Social Justice at Saint Louis University in St. Louis, MO. He is also a board-certified emergency physician. Just as trauma patients who arrive at community hospitals are stabilized and then usually transferred to a trauma center, patients with infectious illness likely to be Ebola should be isolated, tested, and then sent to one of these 4 facilities. These hospitals have special biocontainment units with equipment like special air handling systems, a dunk tank for laboratory specimens, a pass-through autoclave, and “bio pods” available to safely transport or transfer infected patients. Staff there also go through specialized training. In Dallas, a nurses’ union has complained that they received inadequate training and protective gear to use while caring for Duncan. The federal bio containment centers are in hospitals in Omaha, NE; Missoula, MT; Atlanta, GA; and at a National Institutes of Health facility in Maryland. “These were built with federal money, and we should be using them,” Garza said, “Ebola is a high-risk situation.” When patients come into one of these 4 centers, “There is no second-guessing on how to care for them.” But combined, the facilities have fewer than 20 beds. The CDC so far has said that community hospitals can care for Ebola patients and is focused on providing additional training. 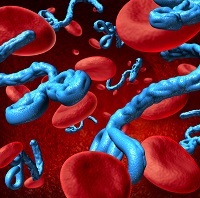 Garza said he does not believe Ebola will turn into a major outbreak in the US, but that the US and other nations should be working harder to contain the virus’ spread in Africa.